Ceiling beams as an element of decor are installed in the premises to give the interior originality and uniqueness. It can be both outward-carrying beams, and imitations depicting ceiling beams. In any case, each of them will create an atmosphere of coziness and warmth in the room. 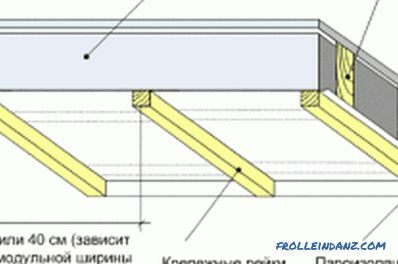 Scheme of mounting the polyurethane beam to the ceiling with the help of bars and screws. Ceiling beams are installed in various rooms, such as country houses, city apartments, etc. They are also used to delimit the zone, for example, separate the living room from the dining room. There are ceiling beams made of wood and polyurethane. 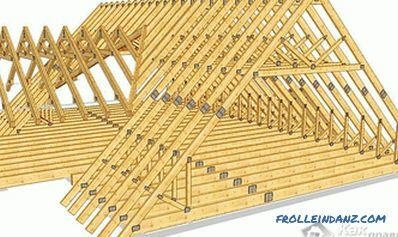 The design of the wooden beams is carried out in advance, that is, at the design and construction stage of the house. The most common wood for their manufacture is larch. Since they are made of natural materials, are environmentally friendly. Under such beams, you can easily hide all communications, wires and existing drops in the ceiling. 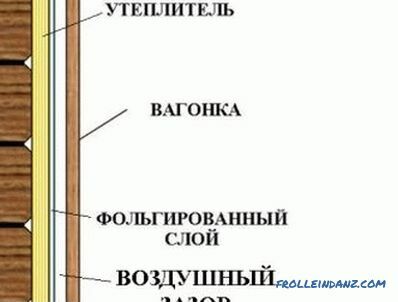 Layout of blanks for mounting decorative beams. The disadvantages of wooden elements include the fact that they have significant weight, and it is not so easy to install them yourself. They are also subject to rotting, spoilage by microorganisms and have low moisture resistance. Due to the fact that the beams are made of natural wood, their natural beauty can be enhanced by polishing and impregnating varnishes. You can create a noble look for them, giving the material an artificial old age. And in addition they are decorated with either carving, or painting, or ceramics. 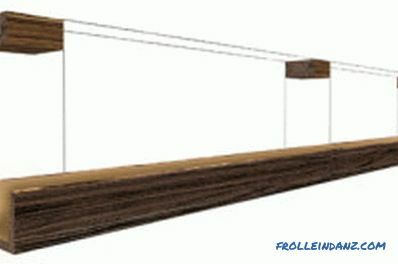 Polyurethane beams are an imitation of natural wood elements. They are easy to install yourself, as they are lightweight. Since they are made of artificial materials, have high moisture resistance and are not subject to rotting. Parts made of polyurethane are made U-shaped, so under them well and communications and pipes. On them, you can create a smooth lacquered surface, and the old cracked. Decorative elements on the ceiling in the form of beams can be used in various styles, ranging from classic to high-tech. If the interior is designed in an elegant classical style, the surface of the beams should be smooth and varnished. Design scheme for ceiling false walls. If there are elements of luxury in the interior, it is best to paint them in light colors, for example, in silver tone, and decorate with carvings or paintings. For the interior, made in a modern style, apply details with a smooth surface. They can be painted both in dark and light colors, and in a brighter naughty color with the use of light on them. In the high-tech (loft) style, beams look beautifully painted with metallic effect, which are in harmony with the brickwork. If the house is decorated in a rustic style, then it is better to decorate it with elements made under the old tree. In color, they can be either light on a dark ceiling or very dark with a rough finish on a light background. For lovers of the French rural style - Provence - for decoration it is better to use well-worked and bleached wooden beams. For decoration of rooms in ethnic style, either natural ceiling elements are used, or their imitation is made of polyurethane with a texture made of wood. When choosing colors for beams on the ceiling, you need to observe harmony. For example, looks great design with a contrasting color scheme. In this case, to highlight the decor, a combination of dark wood with a white ceiling or vice versa is performed. And for a brighter interior, you can combine any color, for example, a yellow ceiling and blue beams, a turquoise ceiling and white beams. You can make and so that the decorative element was the same color with the surface of the ceiling. At the same time, the details painted in tone will give the room expressive structurality and visually increase the volume of the room. When choosing a color solution for a decor, you need to remember that beams installed on the ceiling should be combined with one of the interior elements in color, for example, with a touch of furniture or floor covering. It should also be remembered that the dark decor looks cumbersome and gives the room a feeling of graphic. Light shades look lighter and more refined, giving the atmosphere a restrained coldness. 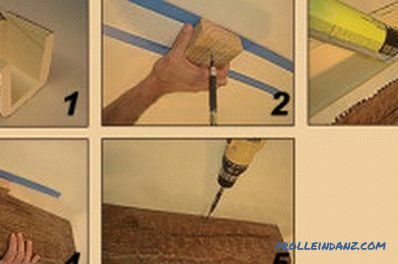 Steps for installing decorative beams on the ceiling. Beams look great in rooms with high ceilings. In this case, in order to give comfort to the room, decorative elements are set backing away from the surface for some distance. In order to visually cover the low ceiling, the construction is carried out, which smoothly passes to the walls, or on them there are strips of the same color as the beams. With the help of the decor you can create the appearance of a change in the geometry of the room. In this case, in narrow rooms, elements are installed according to their width, and in order to extend the room, along the longest wall. If the interior needs to allocate only part of the room, then the beams can be arranged in the form of a Christmas tree or lattice. Or they can be used to divide the room into zones, placing the decor at their junction and mounting fixtures in it. Under the decorative elements, all communications, such as wiring, pipes, etc., can easily be hidden. Lighting can therefore be installed directly on them. To do this, you can embed fixtures directly into the beam or fix it on it with the help of brackets. It looks very original design with LED strip mounted on its upper part. If a suspended ceiling is installed that covers all wiring, then the beam in this case will serve only as an element of decor. At the same time it can be applied to a different painting in the form of an ornament, which must be duplicated on other elements of the interior. 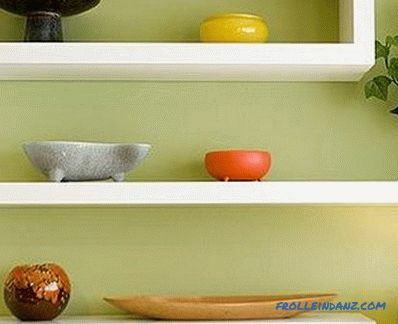 If the decor is located in the kitchen, then a special device with hangers (railing) can be placed on it, on which kitchen utensils are stored. 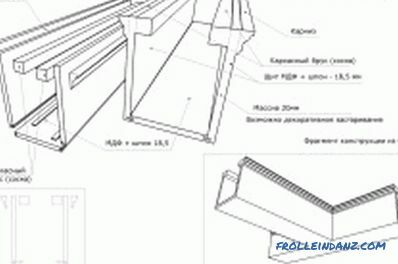 The installation of polyurethane beams on the ceiling can be done in several ways. If the decor has a heavy weight, then first in the places of its further installation the crate is made of metal profiles or wooden slats (timber). 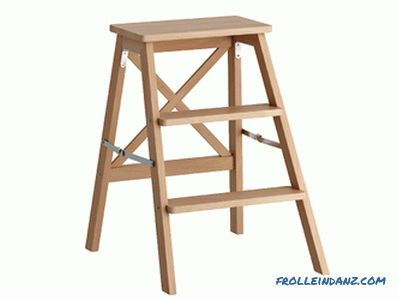 Then beams are fixed on it with the help of self-tapping screws. Lightweight elements are attached to the ceiling with liquid nails. 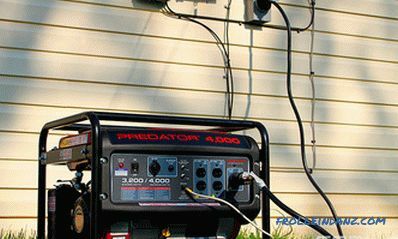 For greater reliability, a combined fastening method is used. In this case, the parts are both glued and fixed to the crate. 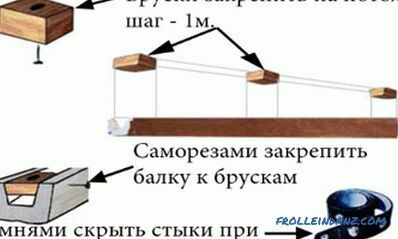 It is possible to make a beam of plasterboard or plywood for the interior of the room. 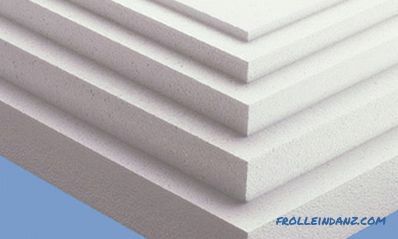 For this purpose, marking is performed on the ceiling, a strong frame of metal profiles is installed for each element. 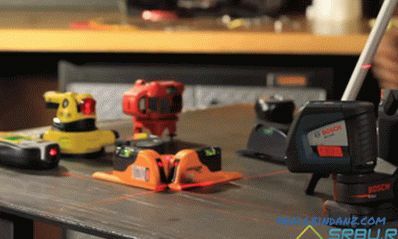 After that, parts of the required size are cut out of the material. Then they are screwed to the prepared frame with screws. In the end, all the resulting boxes are treated with a putty, then with a primer and then covered with paint or pasted over with a wood film.